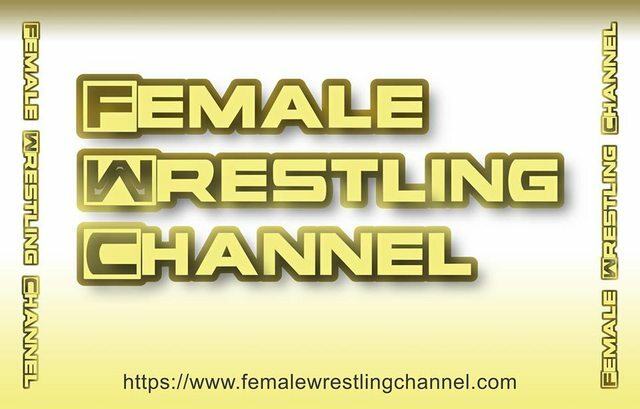 The vast majority of the content at The Female Wrestling Channel (that we personally produce) can be downloaded or streamed for free as a member. Click the "Subscribe" button (on the top left) when clicking the link above to get these updates when they happen in your email. Hairpulling and Rear Naked Chokes Allowed! Nova is 5'9", confident, feisty, and truly DOES NOT like to lose. Nobody like to lose, but this woman shows it. Can she beat Monroe her FIRST time out? Two Vegas Girls – One Winner! Two Newest Girls at FWC Look To Make A Statement! We are looking to create 100 Brand New Legacy Members by June 1st of this year. The story is returning and our direction is set. Plenty of ladies are interested in joining. Some familiar faces and some you haven't seen before. Every single Episode we have ever created will be free for you to download and view including all new releases for the rest of your life. Every single Photoset we have ever created will be free for you to download and view including all new releases for the rest of your life. Every single FWC Extra we have ever created will be free for you to download and view including all new releases for the rest of your life. The Mixed Wrestling Matches we produce (other than FAN SERIES) will be free for you to download and view including all new releases for the rest of your life. You will be able to purchase Fan Series Matches at an automatic discount of 50 percent off when logged into the site. You will be able to purchase Scripted (not REAL) Matches from the Female Wrestling Channel at an automatic 50 percent off when logged in. Scripted matches can only be purchased by members. They are not available to purchase for the general public! You will be able to purchase videos from OTHER Wrestling Producers hosted on this website at an automatic 25 percent discount when logged in as a Legacy Member no matter if the matches are scripted or competitive. You will be able to read insider info such as the Ringo Diary, The Ringo Letters, and you will have access to things like the ladies WIN/LOSS records and other perks that non-members will never see if not logged in. When you decide to sponsor a matchup, you make 50 percent of the lifetime profits on the sale of the match on this website. The best part is you get paid instantly each and every time a sale happens! If you don't have $997 right now, you can check out using Paypal Credit once you checkout with us below. If you do, if you pay the balance off to Paypal within 6 months, you incur zero interest. CLICK HERE TO BECOME A LEGACY MEMBER INSTANTLY! 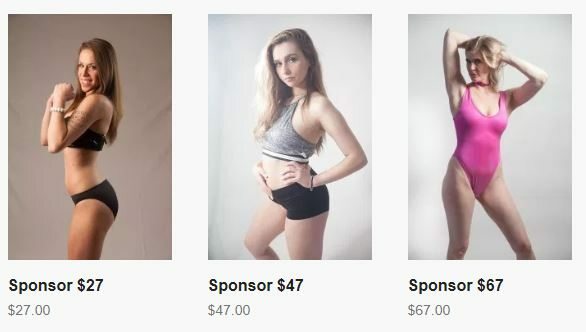 SPONSOR THE NEXT SHOOT AND WATCH FOR 4 HOURS LIVE! Carmella Ringo and Summer Shameless are under new contracts and scheduled for Saturday April 27th. We will be starting at Noon - Indiana time. It will be a 4 hour shoot and we will be live streaming all 4 hours of it to anyone who sponsors in today at any of our 3 levels. If you support this, this is how we will do shoots from now on and I will start getting ladies going a lot more often. $27: Gets you 4 hours of live streaming on the date above. If you can't watch it live, no worries, it will be recorded so you can watch all the backstage happenings later on. You will also receive any content we shoot that day, including female vs female matches, female vs male matches, photoshoots, OFFENSE/DEFENSE matches, or even Scripted matches sent to you immediately free of charge once available. The goal each shoot is to get as much content created as possible. $47: In addition to the above, you receive an autograph of your choice of one of the ladies attending. If you want more than one lady, simply increase the quantity when checking out. Free shipping worldwide. We will ask what lady you want through email after payment, so be certain to check out with a valid email address. $67: Get video confirmation of the lady or ladies signing your autograph so you have FOREVER video proof. This will be a personalized video made just for you where the lady or ladies will address you personally. If you want more than one lady, simply increase the quantity when checking out. 100 Percent Money Back Guarantee if you are not satisfied with this purchase. Ladies in 2019 are contractually obligated to show up for big shoots like this so invest with confidence! Main thing we need to ensure is that we can get them paid each time. Thus, I hope you will like and support this concept.